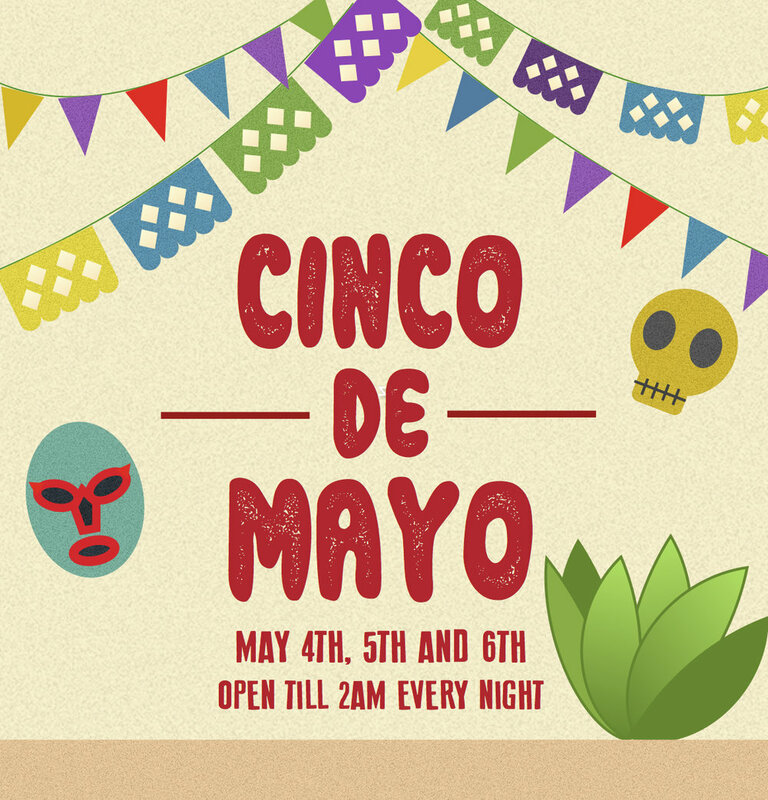 We’re hosting a Cinco De Mayo party all May Bank Holiday Weekend! Taqueria, Mezcal and Frozen Margarita bar in the garden! Micheladas, Bloodychiladas and Gummichilada cocktails. Late opening Sunday 6th til 2am. On Sunday we'll still be serving up great Roasts! And our every day menu will be available Friday, Saturday and Monday as well as the outdoor Taqueria!